The last time we visited Benalla, Victoria was in 2014 and prior 2012, I wanted to take a photo of the Catholic Church, so hence I did about 15 minutes before Mass began in 2014, this time we drove past Benalla. Repost of the Church. St. Joseph's Church was built in 1908, with various internals added over the years including the pipe organ which I didn't get the chance to take a photo of. Colonel Sir Ernest Edward "Weary" Dunlop, AC, CMG, OBE was an Australian surgeon who was renowned for his leadership while being held prisoner by the Japanese during World War II. This statue is to Honour him. Different inside Adam that what I'm used to. It is and a bit different. Such a beautifully maintained church. Love to see a statue of Weary Dunlop too. He must have been very weary from time to time - but perservered. Weary Dunlop must have been very weary as you say, he did such wonderful work as many did and still do. Muy buena la arquitectura de su fachada y muy buena muestra de su interior, en donde la iluminación es bastante buena. The lighting is good as you say in that Church, not all churches are as you would know. It is very nice krishna. 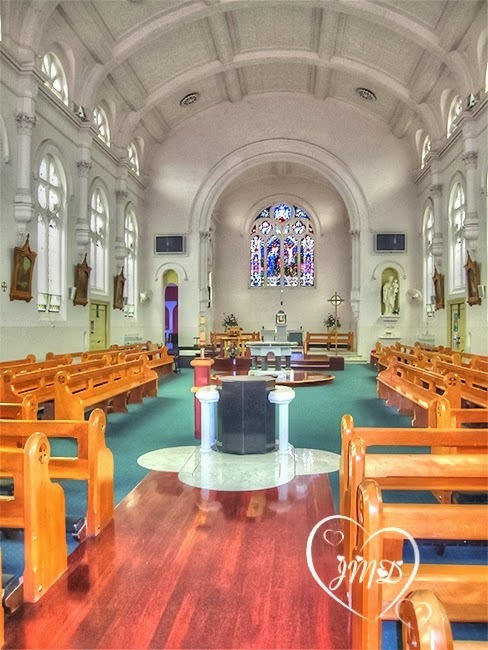 Such a beautiful Church, the interior photograph with the stained glass looks amazing. Colonel Sir Ernest Edward "Weary" Dunlop certainly was a wonderful man. Just so in credible to read books on him and his work in the Japanese prison camps of WW2 under such cruel and primitive conditions. Rather modern Catholic church with the side seats! Appears the parishioners take a great pride in the church. Excellent post Margaret......I reckon your reports, great as previous ones were, are reaching a higher altitude. I do hope they reaching a higher altitude :) Colin. Marvellous man was Weary as there are many. Pretty church. 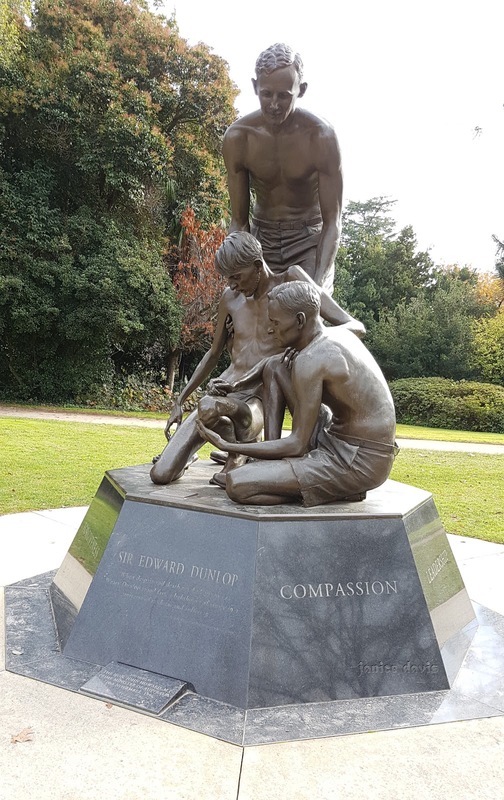 I had to look up Weary Dunlop and enjoyed reading his story of care and compassion. So many heroes rose up out of the horrors of WWII. It's important to remember. I'm pleased you did look Weary up, he certainly did a lot in the War. 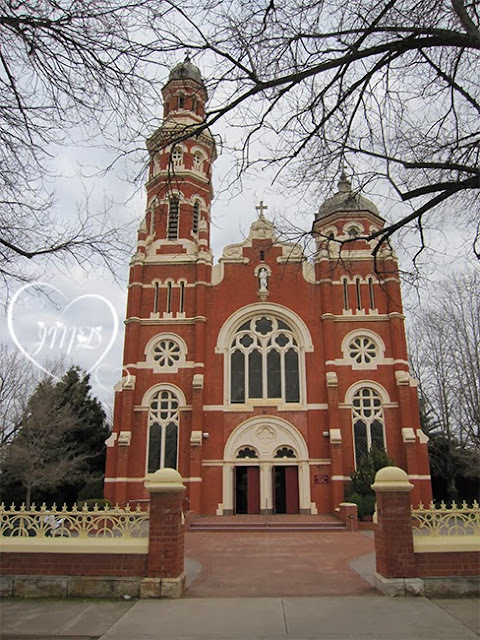 This church is MARVELOUS dear Margaret!!! loved to peek of it's inside view!